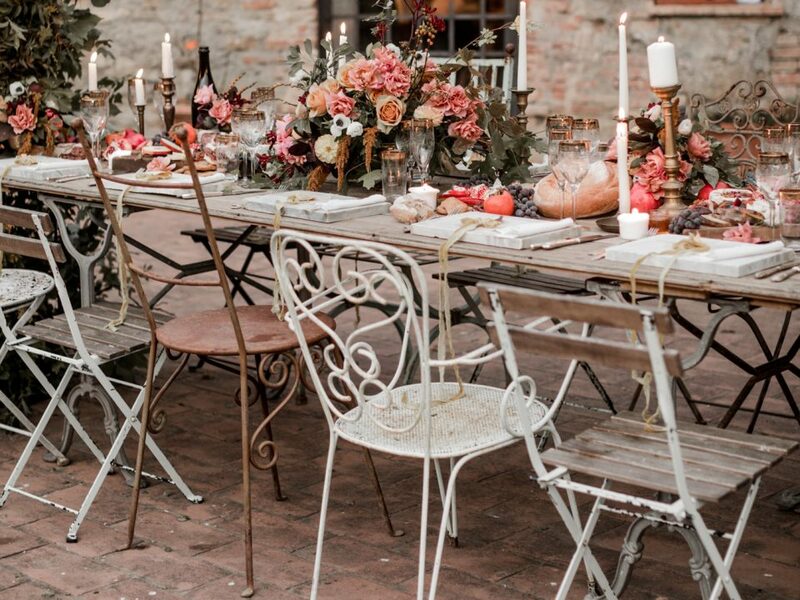 We can often forget about the little items that help pull a table setting together. 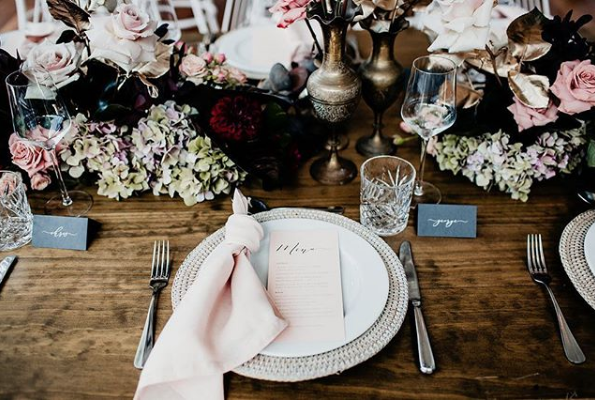 Napkins add beauty, style and It’s often easy to forget about the little items and touches that pull a table setting together. Napkins are an incredibly easy way to add extra beauty, style and colour to your wedding decor. Every table setting has napkins – so take advantage of this opportunity to add more class to your décor, often at no extra cost! 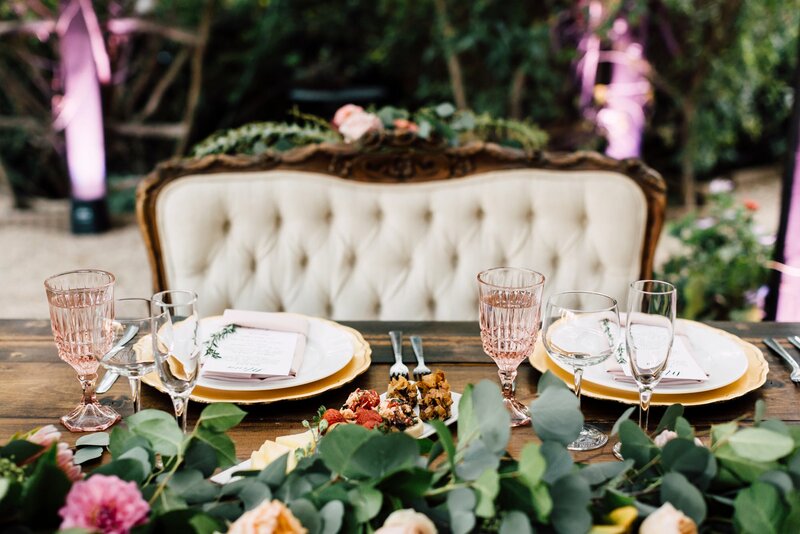 Your reception location will help dictate a well-styled table. For seaside settings, you may want to opt for less structure and more organic or raw-edged forms in moody colours. For city ceremonies, something more formal or monochrome works well. 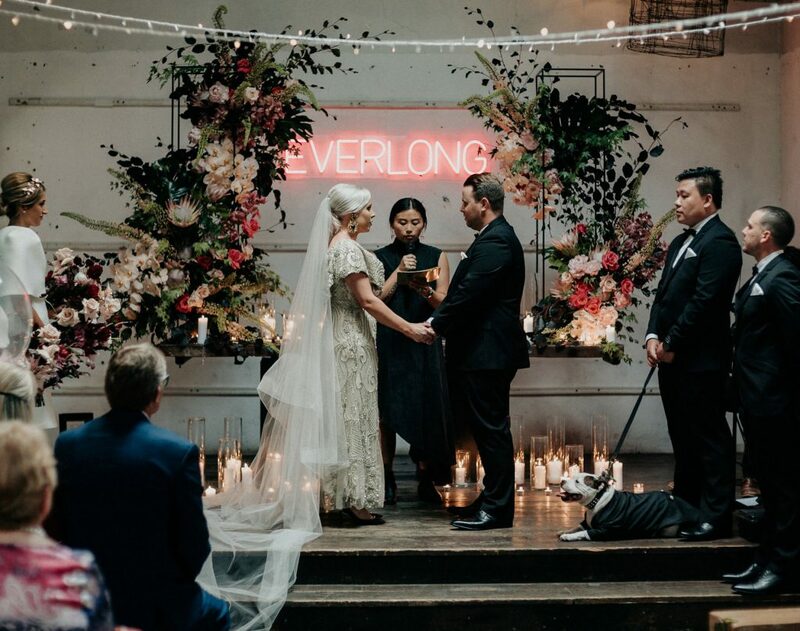 If you’re having a garden-style wedding, consider adding floral elements. Remember that napkins often have to work with your menu – so make sure you consider your napkin style when having your menus designed to ensure the two items work together. Folded longways in an elegant drape, napkins are placed underneath each plate and fall gently over the side of the table in an elegant form. 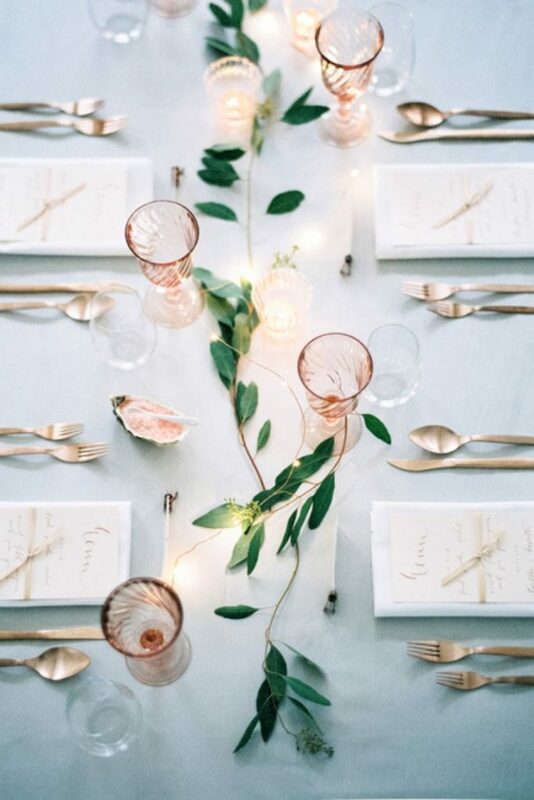 This is absolutely simple to style, yet adds an incredibly beautiful touch to your table. Alternatively, you could include raw larger cloths hung organically at each setting to add texture and interest. 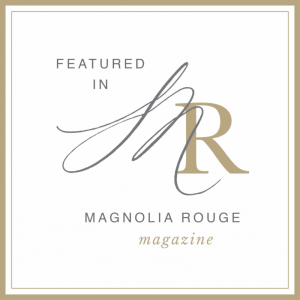 A pocket folded napkin adds symmetry and elegance, and your menus should be tucked carefully inside of it. Place it either on the plate or under the cutlery to one side of the table. Loosely knotted napkins work beautifully as an adorning feature to rustic-styled weddings or tables adorned with flowers. 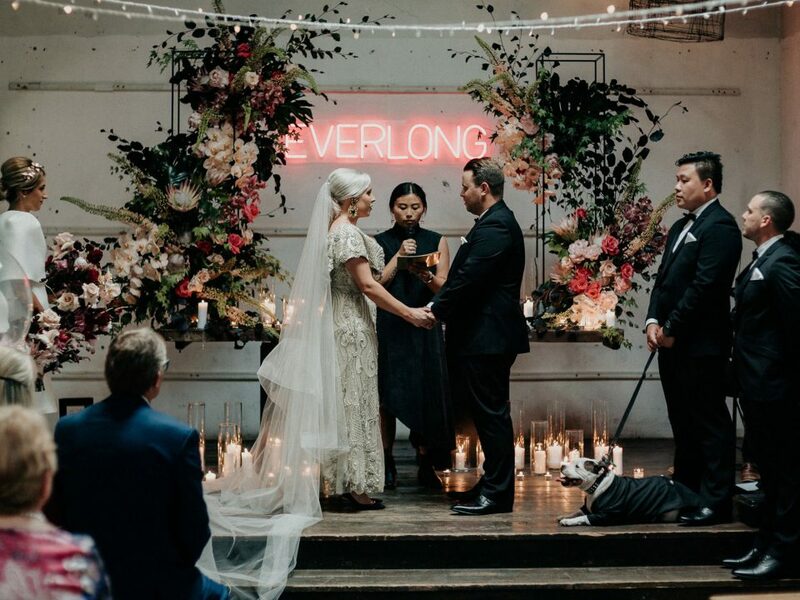 It also adds a little touch of curiosity for guests as they untie the knot and get settled into their seat. 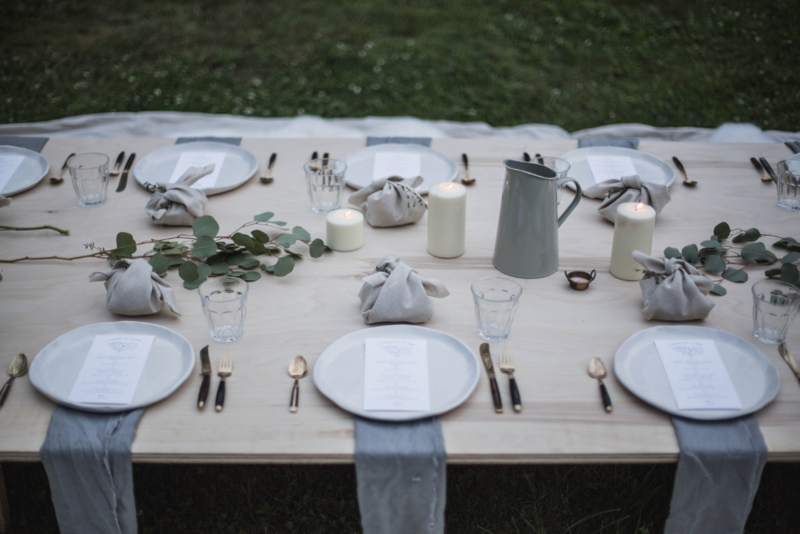 Keep your place settings neat and tidy by wrapping your napkin and menu card together with twine or string. 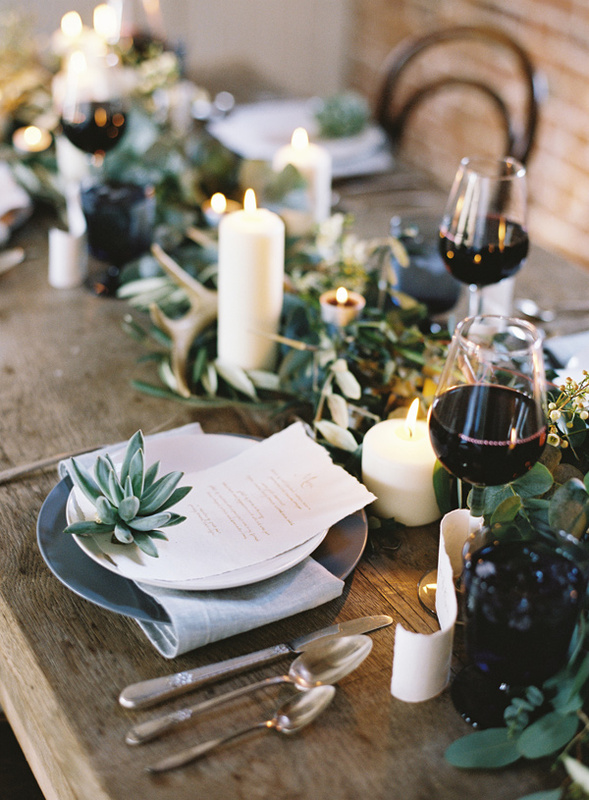 Fold each napkin and place the menu on top; tie them together and top each bundle off with a sprig of greenery. Softly rolled napkins can be dressed up or down. For a formal reception use sterling silver napkin rings. 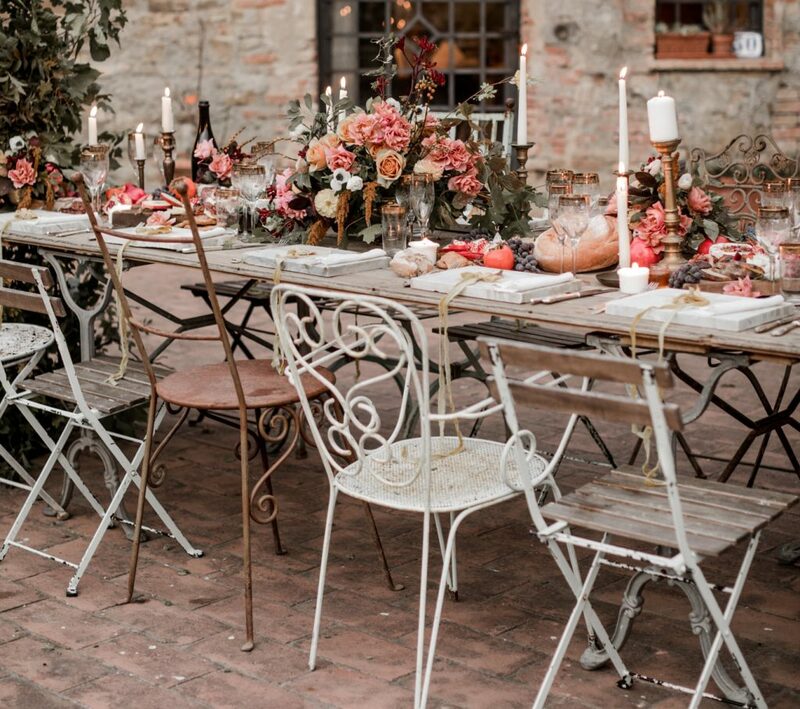 For a rustic or Tuscan style reception, weave with leaves or top with an olive sprig. 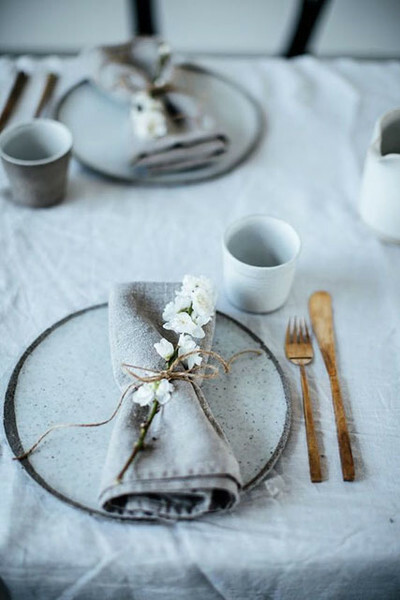 Coordinate your linen shades by selecting a napkin colour that complements, but doesn’t necessarily match, your table linen. 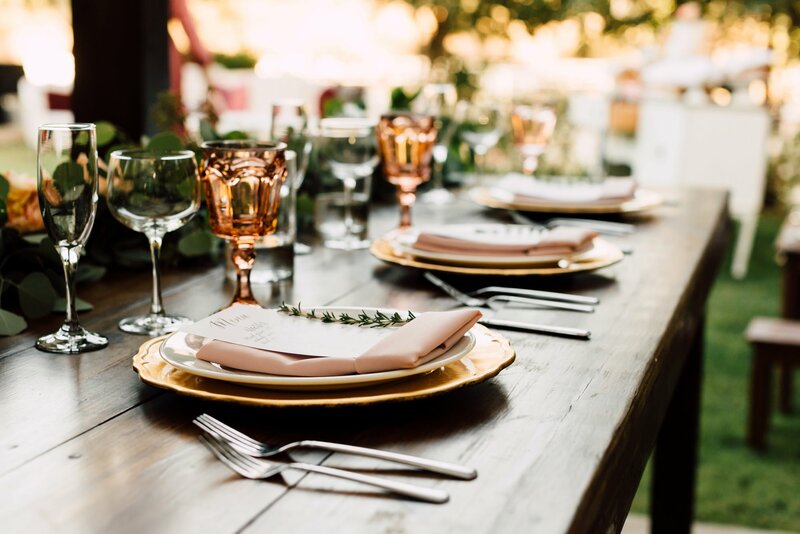 For something different, wrap the plate with a napkin and accessorise the plate with favours such as succulents to give the tablescape a pop of colour. 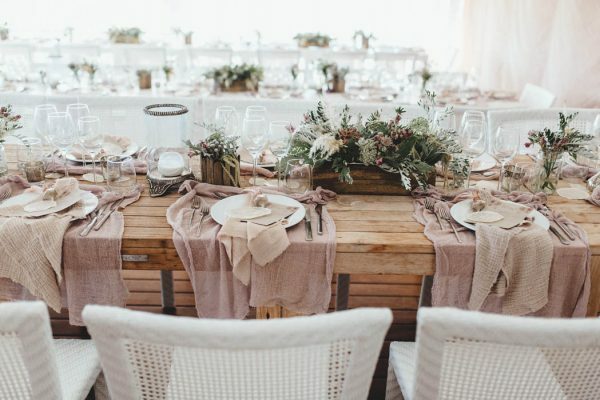 The perfect look for a bohemian waterfront ceremony, the soft draping of napkins on top of the plate creates texture and interest. It works well by also organically hanging larger cloths under the place setting.